Wet n Wild eyeshadows are one of my favourite things about makeup ever and it was largely because of these gorgeous shadows that I was deleriously happy. I said it yesterday when I reviewed the Color Icon Powder Blushes- there is no other drugstore company that make powder products like Wet n Wild. They have a ton of palettes available- 3, 5, 6 and 8 pan- but they also have a neat little range of Color Icon Eyeshadow Singles, and I have two to showcase today. 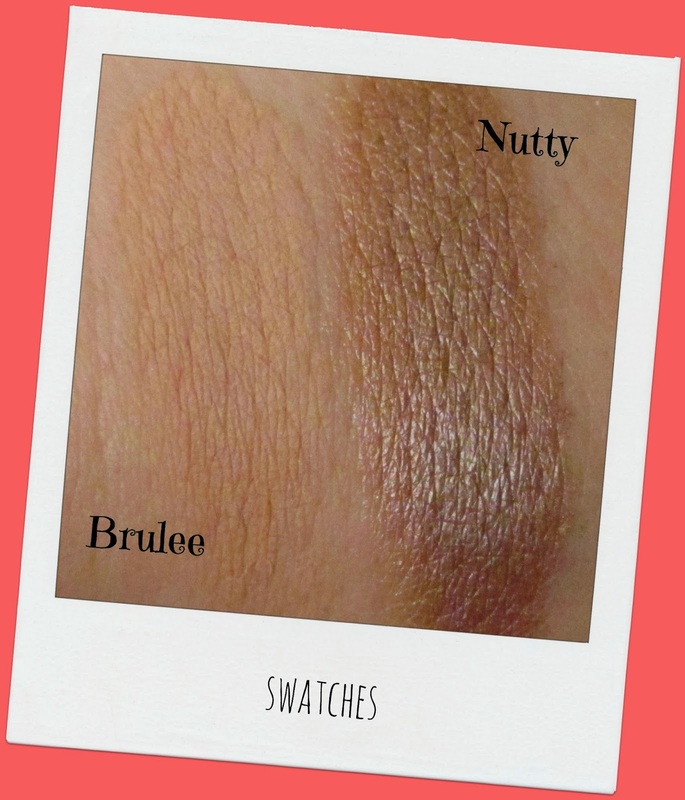 Brulee is a gorgeous creamy/ off white matte colour and it is probably one of the most pigmented matte cream eyeshadows I have. I often use this over the lid with some matte brown in the crease for a daytime work friendly look, or I put some just on my browbone as a highlight if I am feeling so inclined. The shadow itself is extremely soft and pigmented and shows up even on my very pale skin. I find this is also great for no makeup days because it's quite natural on its own on the lid but it really brightens up the eye area. The eyeshadow itself is smooth and creamy but not crumbly or powdery in the pan and minimal fall out. Nutty was a revelation for me, and don't be unimpressed by it's fairly ordinary muddy brown appearance in the pan. This colour has depth and I think it sits somewhere between a brown, bronze, taupe, antique gold colour with a somewhat grey undertone and a silver sheen in a certain light. That makes it sound like an incredibly multiple personality eyeshadow but I prefer to call it versatile. I love to wear this in my crease, it's not uber metallic but you could almost certainly built it up if you were that way inclined. These shadows come in the standard black and plastic packaging that I have slated all week long- but I actually have to say, I don't mind the packaging on these at all because they are nice and compact and there is no space wasted with some flimsy applicator that I am realistically never going to use anyway. The packaging on these also feels like flimsy than the packaging on some of the other eyeshadows and palettes. These Eyeshadows Singles will hurt your purse by €1.99 a pop but they are SO worth it so if your purse can bear that little infliction of pain, I highly recommend that you pick one of these up! What do you think of Wet n Wild eyeshadows? Would you be able to restrain yourself and buy a single shadow when there are so many palettes there for the picking? I got Nutty too and it's really gorgeous! Has kind of a duo-chrome quality to it!